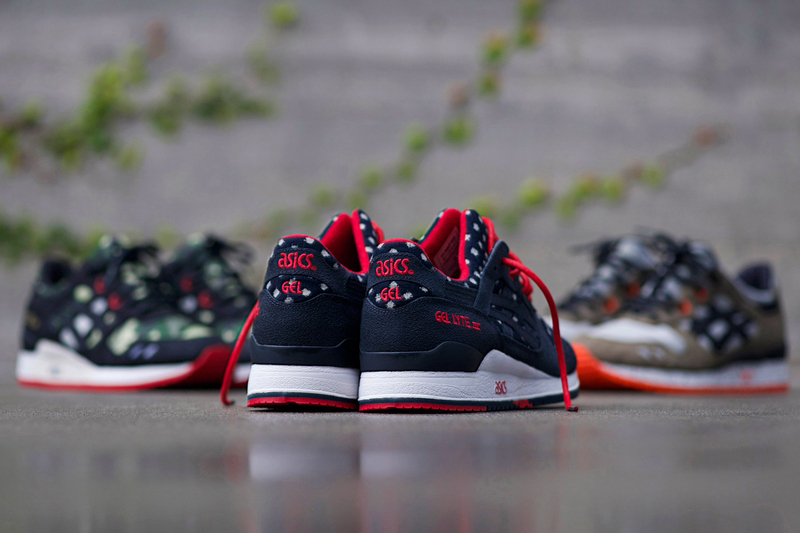 BAIT previews their third BASICS model with ASICS, the 'Nippon Blues' Gel-Lyte III. If you've been following the recent collaborations between sneaker retailer BAIT and ASICS, you probably knew that their "BASICS" program featuring the Gel-Lyte III silhouette was planned as a trio. Now we finally have a look at the final model installment, with a preview of the "Nippon Blues" edition of the classic split-tongued runner. BAIT hasn't provided any more info on the inspiration of the Nippon Blues GL3 yet, but as you can see, it sports a navy blue upper constructed in the same durable synthetic suede as the previous BASICS Models, and features unique spotted detailing at the tongue and collar, along with bright red accents. Get your first look below, and if you're already feeling the Nippon Blues Gel-Lyte III, enter BAIT's online raffle for your chance to purchase the shoes through the BAIT website upon their release. Stay tuned for additional images and a release date as they become available.